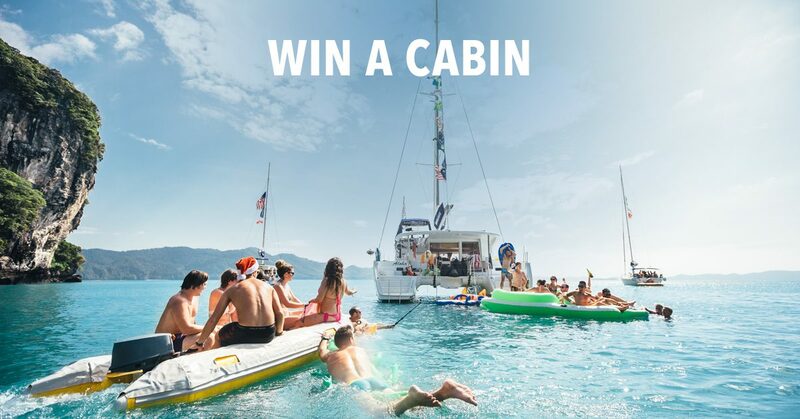 Win a Christmas Cabin in Thailand! We're offering 4 lucky pairs of friends the chance to join The Yacht Week in Thailand on our first ever Christmas Week (19th-26th December, 2015). Each pair will win a cabin on a yacht for the most sun-filled festive frolics. We will place you on the perfect yacht along 3 other pairs who have won a cabin. We will send you the details of your yacht, the Arrival Document and invite you to a Facebook group to meet the rest of your crew at least 2 weeks prior to departure. For more details email info@theyachtweek.com.